Super Hero Food: Organic Raw Cacao Treats!! Blissful, Raw, Organic Cacao Treats! Rocket Fuel for your SUPER HERO & GENIUS SELF!!! All of these Treats are always 100% raw, organic and the freshest possible. We stone grind our own nut butters with the highest quality nuts available. Raw Honey is always the only sweetener we use to bring in the alchemy and magic of the Bee family. 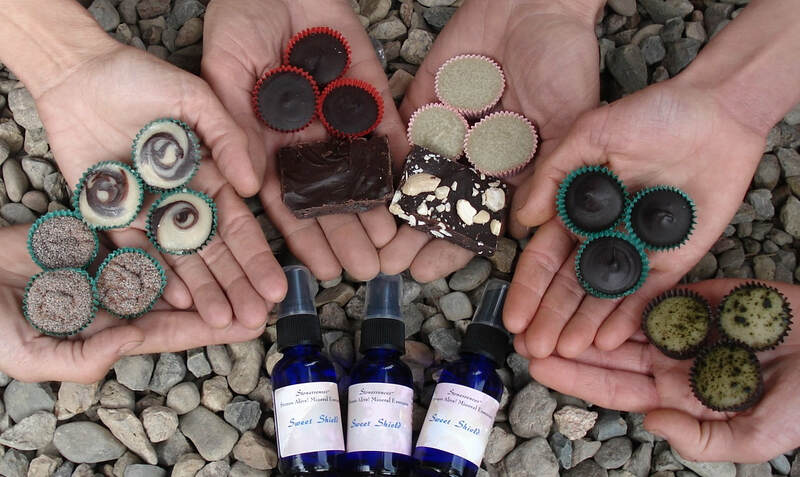 These offerings are part of our service to support your evolution and genius brain evolvement with regenerative fun fuel! We send out an email a few times a year when we are home so you can order these goodies (and more) if you like. Just give us your email address and we will include you.